Are you troubled with financial problems? Do you want to break free from financial stress? 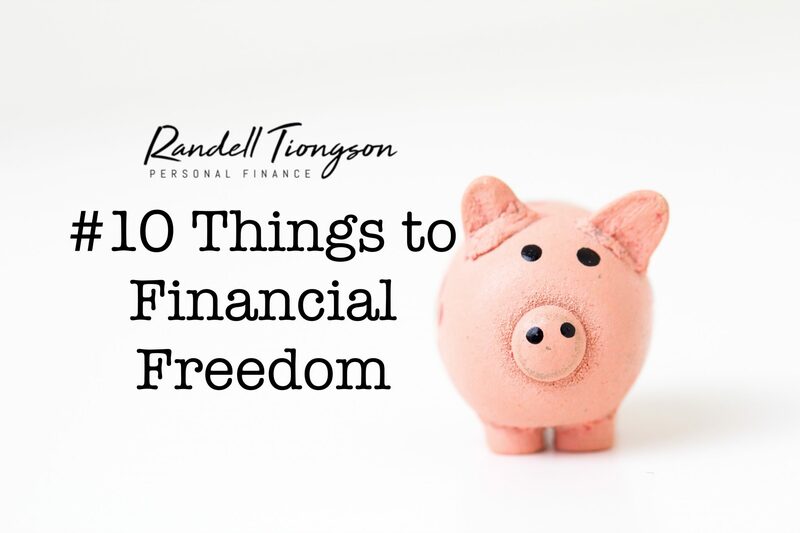 Here are 10 practical and helpful ideas that will help you achieve financial freedom and even more importantly, financial peace. Keep this in mind: it’s not the cost of an item that determines whether it’s an indulgence. It’s how much you need it. So before you make a purchase ask yourself this question every time, “Do I really need this?” If the answer is no, put it back and you will notice your pace quickens on your way to financial freedom. #9 Forget About Your ‘Sosyal’ Friends & Relatives! If you don’t want to be ruled by money and possessions, then you must establish the mentality that God owns everything and that we are just stewards of what He gives us. Generosity is the antidote to greed, and generosity begins with a tithe. Generosity is also the trademark of a man who is not a slave to wealth. A tithe is simply a first portion of our income that we give back to God. Proverbs 3:9, ESV says, “Honor the LORD with your wealth and with the firstfruits of all your produce.” In today’s language, that means we should give the “first of all our income.” And the word “tithe” literally means “a tenth (or 10%).” So, this is the amount I use as a guide for tithing. It’s impossible to be spiritually free when you are financially bound. Financial experts like Dave Ramsey and Larry Burkett suggest to stop using your credit cards and pay for everything with cash debit card while you pay off your existing debt to prevent additional debt from piling up. And don’t get any more credit or credit cards until all existing debt has been eliminated. The same goes to other debt like personal loans. Debt-free living is still God’s plan for His people today, and the blessings of becoming debt free go far beyond the financial area. They extend to spiritual and marital realms as well. Saving is making provisions for tomorrow. The easiest, most effective way to save is to simply do it every time you receive income. And be sure to save for both the long-term and the short-term. Long-term savings are intended to fund long-term needs such as retirement. Short-term savings should be in an account that is easily accessible for planned future spending like replacing appliances, making major home repairs and other emergencies. The old cliche’ is so true: Spend less than what you make! You will never be free from the money trap if you don’t apply that one simple rule. Dave Ramsey says that 90% of people in our culture buy things they can’t afford. That is staggering. Never risk money you can’t afford to lose. It is probably not a good idea to make uninformed or hasty investment decisions, either. Do your homework, educate yourself and learn the investment game before you play it. Never invest in something you do not understand. As a responsible adult, we must learn to discern the difference between needs, wants and desires in every financial transaction we make. Before buying, determine whether the purchase is a need or want. For many years, when Carla and I were trying to get out of debt, we continually asked ourselves before we bought something, “Is this a need or a want?” Lots of small, wise decisions over a long enough period of time will be what gets you where you want to be. Emotional and spiritual balance will lead to financial freedom. So ask God to guide you and give you strength to follow the first nine steps. Don’t be resentful for what you don’t have. Instead, be grateful for what God has provided already. Financial freedom grows out of an attitude of gratitude. Do not hesitate messaging me if you need me to pray for your financial freedom! Join the country’s most empowering finance and investment event: #iCON2019 this May 25, 2019. Now on our 7th year, #iCON has been instrumental in the quest for financial empowerment by the thousands who have attended in the past conference. Sir please share your gift on financial Literacy. Thank you very much.